A stark warning from Japan that its companies will have to leave the UK if trade barriers post Brexit make it unprofitable made everyone sit up and take note. Certainly in Gloucestershire eyes turned first to Swindon where the nearest obvious signs of the benefits of Japanese industry are based in the form of the UK’s biggest car-maker Honda. Many of the firm’s staff and some of its senior bosses live in Gloucestershire. Mark Tipper, the regional co-ordinating officer for the Unite Union, called Honda a “keystone for manufacturing” for “the entire South West region”. Any reduction in output, he told the Swindon Avertiser, would be “devastating”, but the latest noises coming out of Swindon seek to reassure that the firm remains committed to the town. MP for North Swindon, Justin Tomlinson, told the Swindon Advertiser Honda remained committed to Swindon and stressed the company’s close working relationship with the British Government. MP for South Swindon, Robert Buckland, went further – talking of a bright future of “further expansion”. The future of Japanese industry in the UK post-Brexit became a focus of concern after Japan’s ambassador to Britain issued an unusually blunt warning. “If there is no profitability of continuing operations in the UK – not Japanese only – then no private company can continue operations. “So it is as simple as that. This is all high stakes that all of us, I think, need to keep in mind,” said Koji Tsuruoka. His comments came after senior figures from Nissan, Honda and Toyota and 19 other Japanese businesses met Theresa May. Together the three major car marques build nearly half of the UK’s 1.67million cars. The UK car industry employs 814,000 workers and has an annual turnover of £71.6billion. Honda produced 134,000 of the 1.7m vehicles built in Britain in 2016. Less talked about – because the company doesn’t talk about it – is the G Tekt (Europe) Manufacturing Ltd plant in Brockworth. The multi-million pound design and manufacturing premises serves brands including Toyota, Honda and also BMW from Gloucester where it designs and makes vehicle body parts. 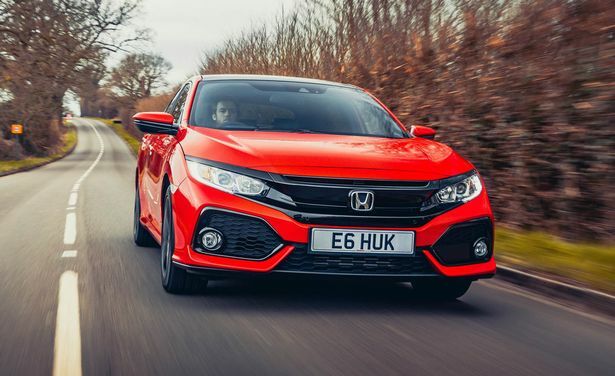 It has been investing heavily in the plant in recent times – especially with respect to the latest Honda Civic. And then along came Brexit. Early last year we reported how it has taken on an extra 175 staff, invested £12million in equipment and was believed to be deep in a significant project with Japanese manufacturer Toyota. There is no news on how it views Brexit. It is not the only Japanese-owned company on the business park. There is also fast-growing Horizon Nuclear Power, which also employs hundreds. Going back to the car industry, according to Theconversation.com website more than half of the £34.3blln worth of exports from the UK to Europe. Falling back on WTO rules “could cost the industry £4.5blln in tariffs annually”, it said. The World Trade Organization is the intergovernmental organization that regulates international trade. Theresa May was reported by the BBC at the time of the Downing Street summit with Japanese business as striking a positive note. The Government’s industrial strategy would make the UK “more attractive”. Back in Swindon, the town’s MPs and bosses from Honda – but mainly the MPs - have sought to reassure workforce that the company “remains committed to operations in the UK and Europe”.